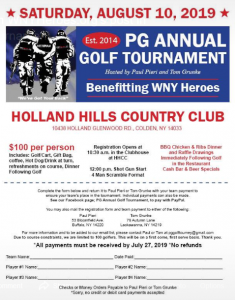 Holland Hills Country Club, 10438 Holland Glenwood Rd. Don't miss out on the fun. This annual tournament leaves you wanting to return every year. If you sit to long before registering, it won't be golf you will be playing.